The Chimney Safety Institute of America is rolling out a public awareness campaign, starting before National Chimney Safety Week, to provide homeowners with facts and resources so we can reduce the number of unwanted chimney fires during the 2014-15 heating season. 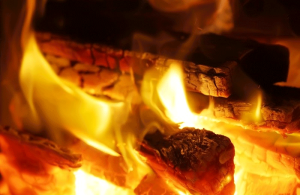 The awareness campaign is meant to highlight the need for residents to contact their local CSIA certified chimney sweep for an inspection of their fireplace or wood stove. 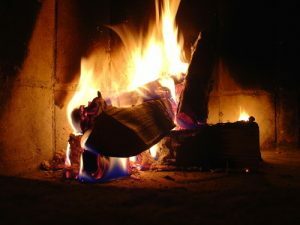 That’s whether they are daily users or simply want to enjoy 1 or 2 fires associated with the holidays. The chimney is one of the least-understood parts of the home, and it’s job is to safely funnel smoke from the appliance to the outdoors. But chimneys need to be maintained and inspected annually. First Choice Chimney can determine if the chimney is in need of sweeping and/or repair. First Choice Chimney pros can be a help with whatever type of heating appliance that you use in your home. The First Choice Chimney pros can talk to you about the flue, and what other appliances in your house, such as your furnace, share the same chimney! The First Choice Chimney pros can talk to you about frequency of use – whether it is a primary heating source. They are trained to look for creosote, cracks, and any problems with the venting. First Choice Chimney is working with news media as well as providing content to consumers directly in the form of videos. All of our material is share-able both on social media and traditional media. If you don’t employ a CSIA certified chimney sweep like First Choice Chimney, there’s no guarantee that they know the three levels of inspection or have knowledge of proper chimney construction or installation details. You don’t want a handyman unfamiliar with this information doing this type of work. Some 24,000 fires related to the chimney occur annually, costing millions of dollars in property damage. Be safe and inspect to protect. Contact us today for more information about out chimney and dryer vent cleaning services.